Spring signals the start of two hallowed seasons: home buying and baseball. Like the national pastime, purchasing a home supposedly comes with its own set of “unwritten rules.” Conventional wisdom and considered opinion have long led consumers to believe you never make an offer on the first home you tour, or you always close at the month’s end. The reality is the only rules you have to follow relate to mortgage fraud (one might regard them more as federal statutes than rules). Home buyers and real estate agents routinely flout common “Never this or that” industry truisms when the need arises. But make no mistake. While there aren’t hard-core “rules” to follow, there are absolutely best practices and proven precepts that you should carefully consider. Here’s a look at five big ones. Getting pre-approved means a lender has vetted your credit and financials and is so far willing to continue the mortgage dance. Pre-approval letters detail your purchasing power and provide sellers and real estate agents a degree of confidence they won’t get anywhere else. Real-estate agents show homes, negotiate contracts and close deals every month. They can help identify red flags and potential problems, all the while working to best match up properties to your unique needs. 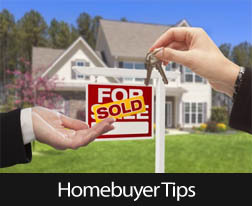 The Internet has certainly helped demystify and democratize the homebuying process. But consumers may still want an industry professional on their side. Nearly 90% of home buyers use a real-estate agent or a broker, according to the National Association of Realtors. Consult with your real-estate agent regarding the right amount, and quibble if you dare. Earnest money follows in line with loan preapproval—it’s another way to show a seller you’re a serious, legitimate home buyer. Don’t just submit a solid offer and cross your fingers if you’re shopping in a competitive real-estate market. Take every opportunity you get to tell your story and sell yourself. Include a handwritten letter with your offer. 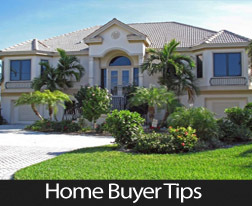 Ask your real-estate agent to convey your admiration for the property and your hopes and dreams to the listing agent. Photographic and video technologies are ushering in a new era for home tours. Cool tech and new apps can be a huge help for consumers moving to new states or service members purchasing homes during a deployment. These tools will continue to supplement the shopping experience, but nothing quite compares to the in-person experience, Gassett said. When you are purchasing a home, your Realtor may strongly recommend that you obtain a mortgage pre-approval before you even start looking for the home of your dreams. There are some huge benefits to being pre-approved before you find a home, but oftentimes, people confuse pre-qualifications with pre-approvals. So the question many buyers have is what exactly is a mortgage pre-approval? In a nutshell, it’s when the lender provides you (the buyer) with a letter stating that your mortgage will be granted up to a specific dollar amount. What Do I Need For Pre-Approval? In order to obtain a pre-approval for your home purchase, you will have to provide your lender all of the same information you would need to show for qualifying for a mortgage. This means providing tax returns, bank statements and other documents that prove your net worth, how much you have saved for your down payment and your current obligations. What Conditions Are Attached To A Pre-Approval? Interest Rate Changes – a pre-approval is done based on current interest rates. When rates increase, your borrowing power may decrease. Property Passes Inspection – your lender will require the property you ultimately purchase to come in with a proper appraisal and meet all inspection requirements. Credit Check Requirements – regardless of whether it’s been a week or six months since you were pre-approved, your lender will require a new credit report. Changes in your credit report could negate the pre-approval. Changes In Jobs/Assets – after a pre-approval is received, a change in your employment status or any assets may result in the pre-approval becoming worthless. Getting pre-approved for a home mortgage will usually allow you more negotiation power with sellers and may help streamline the entire loan process. It is important however to keep in mind there are still things that may have a negative impact on actually getting the loan. It is important to make sure you keep in contact with the lender, ( And your Realtor.) especially if interest rates increase or your employment status changes after you are pre-approved. Thinking of buying a home in 2014? I have a couple of lenders who I highly recommend, to get you that pre-approval for your purchase. Give me a call or text – (949) 887-5305 – or shoot me an email – BobPhillipsRE@gmail.com – and let’s get started. 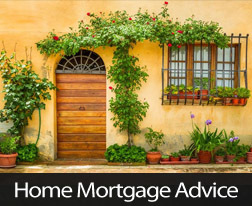 Comments Off on What Is A Mortgage Pre-Approval? Last week’s economic news was dominated by the first address by the new Fed chairperson, Janet Yellen. Tuesday’s news included the Jobs Openings report for December 2013, which matched November’s reading of 4.0 million jobs available. This information was taken from a gauge of competition for available jobs; in December, competition for job openings fell to its lowest level in five years. Fed Chair Janet Yellen‘s First Address to House Janet Yellen addressed the House Financial Services Committee for the first time on Tuesday as Chair of the Federal Reserve. Ms. Yellen indicated that she expected “a great deal of continuity” in terms of Federal Open Market Committee (FOMC) monetary policy direction, and noted that markets should expect the FOMC to continue its support of low interest rates. Chairman Yellen emphasized that the FOMC’s current tapering of its quantitative easing program was expected to continue, but is not on a pre-determined course. If economic conditions change, the Fed’s monetary policy would be adjusted according to such developments. Mortgage Rates Mixed According To Freddie Mac According to Freddie Mac’s weekly Primary Mortgage Market Survey (PMMS), the average rate for a 30-year fixed rate mortgage rose to 4.28 percent from the prior week’s 4.23 percent. The average rate for 15-year fixed rate mortgage mortgages was unchanged at 3.33 percent. The average rate for a 5/1 adjustable rate mortgage dropped from 3.08 percent to 3.05 percent. Discount points for each category were unchanged at 0.70 percent for fixed rate mortgages and 0.50 percent for 5/1 adjustable rate mortgages. In other news, Weekly Jobless Claims were higher last week at 339,000 against a forecast of 330,000 new jobless claims and the prior week’s reading of 331,000 new jobless claims. Analysts cited bad weather and the possibility of slower economic growth as factors, but said that it was too soon to tell if economic growth is slowing down. The University of Michigan’s Consumer Sentiment Index beat expectations with a reading of 81.2 against expectations for a reading of 80.0. February’s reading was unchanged from January. 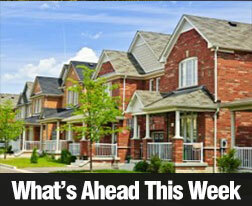 What‘s Coming Up This week’s economic news includes the NAHB Home Builder’s Housing Market Index on Tuesday. Wednesday’s events include Housing Starts and the minutes from January’s FOMC meeting. In addition to Freddie Mac’s PMMS, Thursday’s scheduled reports include Weekly Jobless Claims, the Consumer Price Index (CPI) and Core CPI. Leading Economic Indicators (LEI) for January will also be released. The National Association of REALTORS® will release data for existing home sales in January on Friday. Add up the estimated costs for renovating the property along with the cost of the home – does it still work out to be a better deal or would you be better off buying a turnkey property – one that doesn’t require repairs. Buying a fixer-upper property can be a great investment and can give you the opportunity to transform a run-down old house into the property of your dreams. Make sure, however, you that you consider the choice carefully before making your decision. Oftentimes, when you are searching for a new home, it may seem like obtaining a pre-approval for your mortgage loan is a waste of time and energy. However, there are some significant benefits to a pre-approval which should not be overlooked. In many cases, buyers can use a pre-approval for leverage when negotiating with sellers and may wind up buying a home for less than the listed price. One significant benefit of a mortgage pre-approval is knowing exactly how much money you will be able to borrow. This means you will be looking at homes you know you can afford. Whether you are working on your own or you’ve sought the assistance of a real estate broker, there will be no question in your mind how much money you can spend. When someone is attempting to sell a home, chances are they are either buying a new home or they are relocating. 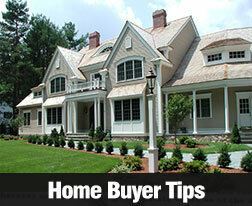 This means they may be facing certain time constraints which can be difficult when they list their home. When sellers are faced with multiple offers, chances are the potential buyer who has a pre-approval will often be the offer that is accepted, even if it’s slightly lower than other offers. It may seem the seller has nothing to gain if they are taking less money for their home simply because you have a pre-approval. However, this is typically not the case. Keep in mind the usual process is the buyer makes an offer, they search for a loan and they may eventually get turned down for a mortgage. This means the seller has to start the process all over again; typically 30 to 60 days after they received the first offer. A pre-approval can give you a great deal of negotiating power simply because your lender has already validated your credit information, your employment, debt and income. This means when you begin negotiating with a seller, the time from signing a purchase and sale agreement to closing your loan is typically significantly shortened. My best advice? First, get pre-approved for a loan, and then, give me a call and let’s start looking at houses. The house “looking” stage can be as little as one day, but typically you’ll spend at least a few weeks, and sometimes months, until that perfect property appears. The trick is to be in a position to pounce on it, once you’ve found “the one”. If you don’t presently have a preferred lender, I have a couple who I can wholeheartedly recommend. Give me a call, or shoot me an email, and let’s talk about your real estate goals. Can I Have A Co-Signer For My Mortgage? Typically, a co-signer is a family member or close friend that wants to help the primary borrower qualify for a mortgage. 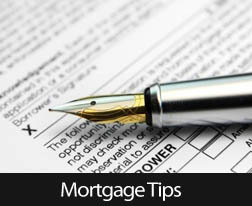 To that end, he signs the loan documents along with the primary borrower, taking full responsibility for them. When a co-signer applies for a mortgage, the lender considers the co-signer’s income and savings along with the borrower’s. For instance, if a borrower only has $3,000 per month in income but wants to have a mortgage that, when added up with his other payments, works out to a total debt load of $1,800 per month, a lender might not be willing to make the loan. If the borrower adds a co-signer with $3,000 per month in income and no debt, the lender looks at the $1,800 in payments against the combined income of $6,000, and is much more likely to approve it. Co-signers can add income, but they can’t mitigate credit problems. Typically, the lender will look at the least qualified borrower’s credit score when deciding whether or not to make the loan. This means that a co-signer might not be able to help a borrower who has adequate income but doesn’t have adequate credit. Co-signing arrangements carry risks for both the borrower and the co-signer. The co-signer gets all of the downsides of debt without the benefits. He doesn’t get to use or own the house, but he’s responsible for it if the mortgage goes unpaid. The co-signer’s credit could be ruined and he could be sued (in some states) if the borrower doesn’t pay and he doesn’t step in. For the borrower, having a co-signer may an additional level of pressure to make payments since defaulting on the loan will hurt him and his co-signer. Comments Off on Can I Have A Co-Signer For My Mortgage? Before even starting the home loan application process, borrowers are well served to check their own credit reports and see what appears. If everything is correct, their credit score can help them understand what type of loans are open to them and what they might cost. When errors come up, pre-checking gives the applicant time to have the errors corrected before applying for a loan. When an applicant has credit issues, knowing gives him time to fix them. He can pay down balances, add new lines to his report or take other action in advance of applying. 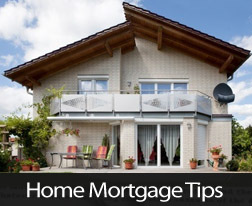 Mortgage lenders calculate a borrower’s ability to borrow based on the debt-to-income ratio. They add up the proposed mortgage payment and the other debt payments and divide them into his monthly gross income. If he has too much debt or not enough income he won’t get the loan he wants. To manage this, borrowers have two choices. One is to earn more by taking on a second job. The other is to have lower payments. Paying down credit cards can be a quick way to solve this problem. The inquiry can drop his credit score. The payments can change his DTI. The lender might not feel good about a borrower taking on more debt. Getting a mortgage can be tough. The key is to understand what lenders want to see and give it to them. Last week’s mortgage and housing-related reports began with Construction Spending for December, with a reading of 0.10 percent or a seasonally adjusted $930.5 billion. December’s reading fell short of an expected increase of 0.40 percent. Spending for private sector projects rose by 1.00 percent; of this amount, residential construction spending increased by 2.60 percent and private sector spending for non-residential construction fell by -0.70 percent. Although construction spending posted a fractional gain, the good news is that construction spending is currently dominated by residential construction and that due to inclement winter weather, any gain in construction spending during December could be considered positive. 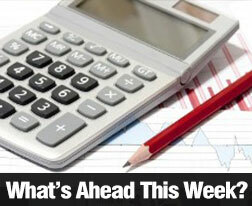 Employment related reports dominated the week’s economic reports. The ADP employment report for January indicated that only 175,000 new private sector jobs were added for the lowest reading in five months. December saw 227,000 new jobs. Severe weather conditions were the cause of lower than expected jobs growth. Month-to-month job reports can be unpredictable, but quarterly results provided positive information as the three month period ended in January 2014 saw average monthly job growth of 230,000 jobs as compared to an average reading of 220,000 jobs added during the same period a year ago. New Jobless Claims came in at 331,000, significantly less than the prior week’s reading of 351,000 new jobless claims, and also lower than the forecast reading of 337,000 new jobless claims. Analysts said that these readings supported gradual improvement in the economy. The Bureau of Labor Statistics (BLS) released its Non-Farm Payrolls report for January, which indicated that 113,000 new jobs were added during the first month of 2014. This reading was better than December’s reported 75,000 jobs added, and suggested to economists that bad weather was not the underlying cause of the dip in jobs growth. Healthcare and government sectors cut jobs in January. With lower job growth, a higher unemployment rate would seem likely, but the national unemployment rate dropped to 6.60 percent from last week’s reading of 6.70 percent. The Federal Reserve’s FOMC Committee has established a benchmark reading of 6.50 percent as one of the economic indicators it uses in decisions concerning federal stimulus programs. Readings for labor and unemployment are important for the overall economy and housing markets; consumers worried about jobs that they might lose or jobs they cannot find likely won’t be buying homes in the near term. According to last week’s Freddie Mac’s Primary Mortgage Market Survey, average mortgage rates dropped across the board. The reported rate for a 30-year fixed rate mortgage was 3.23 percent, down from the prior week’s 3.32 percent. Discount points were unchanged at 0.70 percent. The rate for a 15-year fixed rate mortgage fell by seven basis points to 3.33 percent. Discount points ticked upward from 0.60 to 0.70 percent. The rate for a 5/1 adjustable rate mortgage fell by four basis points to 3.08 percent with discount points unchanged. 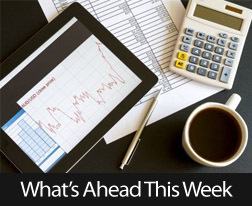 This week’s scheduled economic news includes Weekly Jobless claims, Freddie Mac’s report on average mortgage rates, along with retail sales and retail sales except automotive sales. The University of Michigan Consumer Sentiment report will be released Friday. “Orange County house prices rose faster in 2013 than in any year since 2004, CoreLogic reported Tuesday. A new report from the Irvine-based real estate tracker shows single-family home prices jumped 19.7 percent during the 12 months through December. That’s the highest year-ending appreciation rate for the county since December 2004, when CoreLogic recorded gains of 22.9 percent. On the other hand, appreciation rates have moderated somewhat since this past year’s peak of 23 percent annual gains in August, and they are forecast to drop back into the single digits this year. “We expect the rising prices to attract more sellers, unlocking this pent-up supply, which will have a moderating effect on prices in 2014,” CoreLogic chief economist Mark Fleming said. Soaring demand and bidding wars drove up home prices last year. Low numbers of homes were offered for sale, while at the same time investors were buying heavily and renewed confidence in the market boosted home buying among owner-occupants. CoreLogic bases its report on paired sales of single-family homes, comparing each home’s sale price to its previous sale price. The process is considered more reliable than other pricing methods since it is less influenced by last year’s big drop in foreclosures and short sales and rising sales of pricier homes. Elsewhere in the region, year-ending appreciation rates hit 22 percent in the Inland Empire and 19.1 percent in Los Angeles County, CoreLogic figures show.